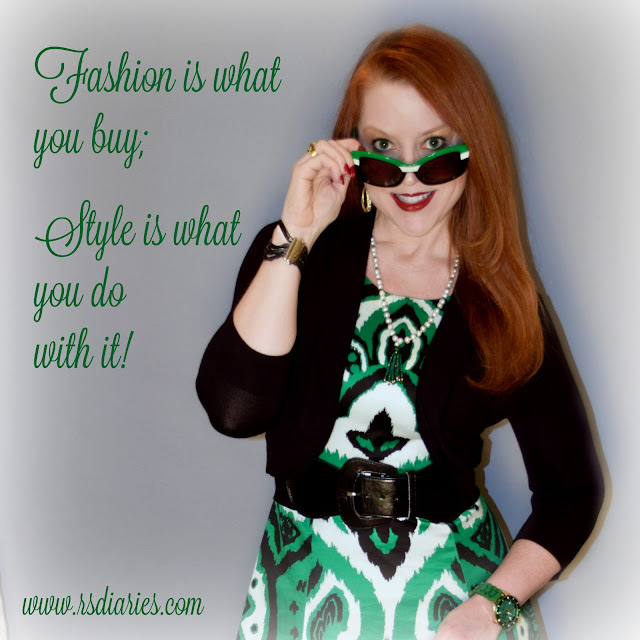 I also recycle my wardrobe, switching up shoes and accessories to get extra mileage from pieces I love. I am NOT a one and done kind of girl. In fact, I laughed at a recent St. Margaret's Hospital Guild luncheon when, not two minutes after a friend commented on my "new" dress, we were looking through a scrapbook of photos in which I was wearing that same dress at two other events. The crazy Prada sunglasses were an irresistible outlet find this Summer. They're definitely not for everyone, but they made me excited about wearing this dress again. 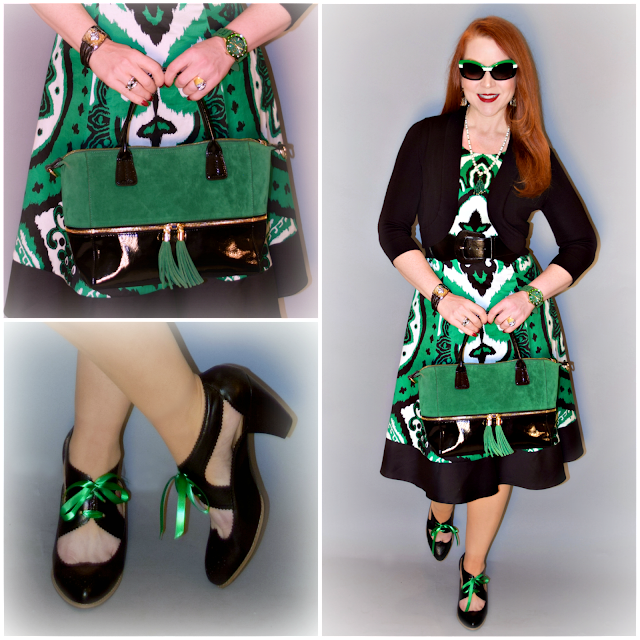 This INC dress from Macy's is about 8 years old, but it felt brand new when I paired it a new pair of Prada Sunglasses and added green ribbon laces to a classic black shoe. As the weather gets colder, I'll add black tights and boots and keep right on wearing it through the Winter. Going green has never been easier! 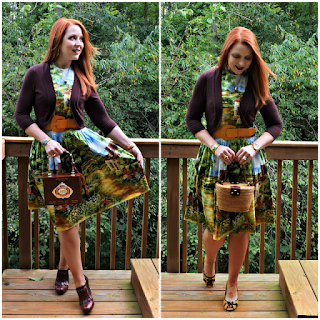 Hi Jody, have just found your blog and I totally love your style. 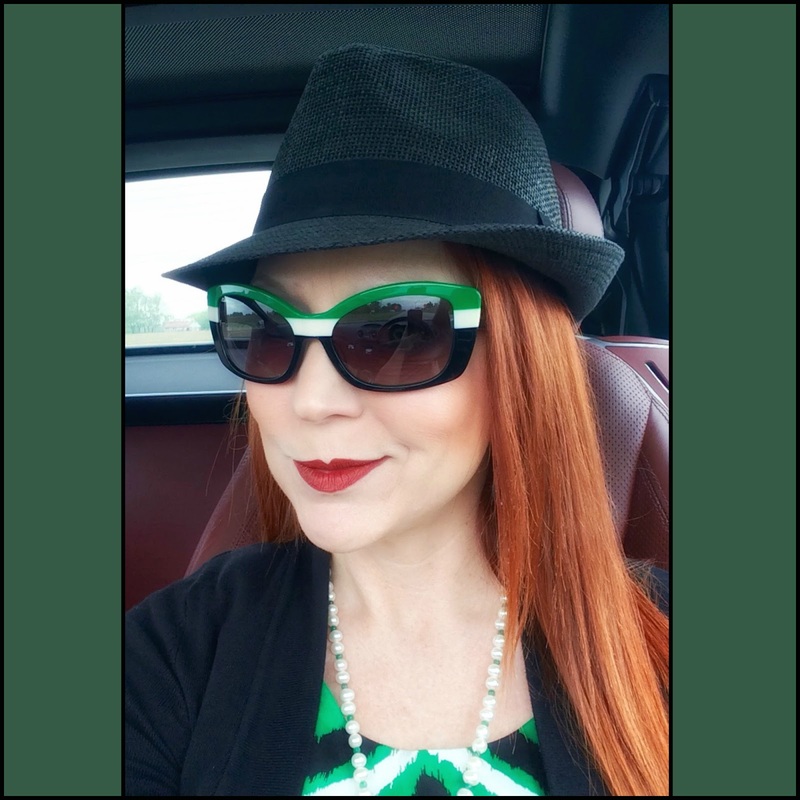 Green looks wonderful on you - from those amazing glasses all the way down to those ribbons on your shoes - you've done a great styling job. Keep on doing what you're doing, it's fab!